Algorithm that uses Artificial Intelligence and wisdom of the crowd to show you the best solutions for you. Fast, intuitive and simple to use. 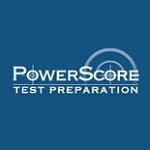 The most globally awarded test prep company. Virtual Math Lab This gives you tutorials for all the math concepts covered in the GRE. gkacademy: Provides you with ample timed GRE tests containing Text Completion & Sentence Equivalence sets. Wordnik: A website for learning vocabulary in context with so many features such as definitions from dictionaries, synonyms, antonyms, etymologies, sentences in which the words have been used, visuals, sounds, etc. If you know any useful links which are not in this aforementioned list please feel free to add them in your reply! Lets make this post an one-stop shop for everything you need for GRE preparation! Free GRE 101 Webinar, September 26 @ 8pm Eastern Time. Thanks Ryan! Updated the list! Nice topic. Thanks for the link. exactly what i was looking for..thanks! Great! All free resources for the GRE at one place. Also I would like to add an amazing student-friendly site Galvanize Test Prep where we'll get all the resources like vocabulary/GRE Apps, ebooks,online learning and free sample test resembling the actual actual GRE exam. Last edited by Roy5522 on 09 Jan 2019, 00:02, edited 1 time in total. Very helpful materials! Thank you very much! But I don't have time to generate 30 messages. I will have exam in January 15 and I want to pass practice tests as more as possible. How can I do it on this site? You have 2 Free tests on the website also you can purchase a 10 day test access that would fit your needs, given the tight deadline.